The Shia Hezbollah movement Monday criticized the Islamic State group (ISIS) over its last week twin attacks in Catalonia, in which 15 civilians were killed, saying that attacks ‘tarnish the image of jihad’. The movement, according to its ally media al-Manar, said the attacks were a “crime” and part of a “satanic scheme”. “This [IS] ideology is based on hatred… As terrorist attacks are spreading worldwide, it becomes a duty to wipe out this organization and undermine its destructive ideas,” the movement said in a statement relayed by al-Manar. Hezbollah group gained popularity in the Arab world for its resistance against Israel but has been classified as terrorist group by the US, EU and the Arab League, for the killing of civilians in Syria and support for Assad regarded as killer of the Syrian people by the US and its allies. 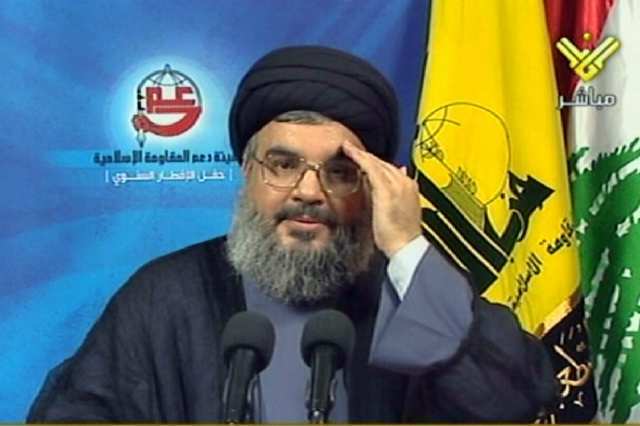 Hezbollah says it opposes ISIS and has been battling the terrorist group inside Syria and along the Syrian border, on the side of Syrian President Bashar al-Assad. Hezbollah forces and the Syrian army took control of a strategic hill in Joroud al-Jarajeer on Monday, al-Manar reports. Both allies also seized Shoubat al-Dowab and Shoubat Beit Shuker heights, in the northern axis of the outskirts of western Qalamoun. Written by: KanelkaTagba on August 22, 2017. Posted by KanelkaTagba on Aug 22 2017. Filed under Headlines, World News. You can follow any responses to this entry through the RSS 2.0. Both comments and pings are currently closed.